It was a recipe for fun when I wrote Three Ingredients I — Murder at the Bijou. Hello everyone. I’m Teagan Ríordáin Geneviene, and I’m happy to be here with Esme! Although, I’m afraid I’m not all-together in my element. I used to think I was a pretty good cook, but that was years ago. Now I don’t see myself that way. My readers drove the story by sending three things (or ingredients) that I included in the serial episodes. Those random “things” drove every aspect of the stories. Since the second serial was a culinary mystery, the things were ingredients. People kept asking for the serials to be in book form. Finally I’ve obliged… at least with the first two. Since I’m not much of a cook any more, I’m bringing the first chapter of Murder at the Bijou to share instead of a cooking post. As I said, it’s spontaneously told, and set in the Jazz Age. Here goes! A culinary mystery with “ingredients” sent from readers everywhere. Several cars were already parked in front of Binghamton’s Bijou Theatre for the big local premiere. I spotted an empty parking space and hit the gas to pull my grandmother’s Model-T up to the curb. The car was old as could be, but Granny babied it like a child. It looked brand new, all the way to the brightly painted yellow spokes at the wheels. As I got out I made sure the sign she tied to the car door was straight. It read Granny Fanny’s Goodies. My grandmother had become insistent that I mend my flapper ways and at least learn to cook. Pops wasn’t about to refuse her when she decided I should leave Florida and move up to Savannah, Georgia to live with her. “Until you become a passable cook,” my father said, and it had sounded like a prison sentence. 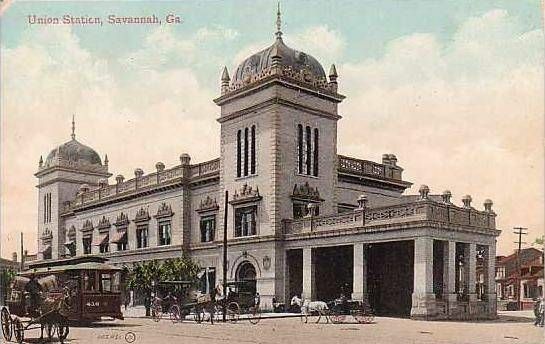 However, Savannah was a bigger city than I realized, and “Jazz Age” business was flourishing. I secretly liked the town, but it wouldn’t do to let Granny or Pops know that just yet. As I carefully stacked containers of fortune cookies I heard someone with a faintly British accent call my name. “Over here Pip!” Alastair Wong called and waved cheerfully. The Wongs immigrated to the United States from England. Neither he nor his parents had ever been to China, though they dreamed of visiting and faithfully passed down family recipes, like the one for the enormous clams, the geoducks. Alastair had helped the filmmaker locate an ancient and huge one that had been used in the making of the movie. Though I couldn’t imagine how they made it look so gigantic, the things were certainly ugly enough to star in a monster movie. Alastair’s family owned the local Chinese restaurant, simply called Wong’s. His slogan proclaimed “You’re always right with Wong’s.” I hoped he was right to invest in so much advertising for this movie. The chefs at the restaurant were so busy making geoduck dishes that he’d asked Granny to handle the fortune cookies. I chuckled to myself when I thought about the “fortunes” she wrote for them. People gathered around the food tables as soon as we were ready. As they chose hors d’oeuvres they joked about eating the movie’s monster villain. Then they started opening their fortune cookies and reading the carefully printed messages inside. I blushed when Alastair Wong looked askance at me. All I could do was shrug helplessly. Granny Fanny insisted on writing what she thought of as proper fortunes, though they weren’t exactly … traditionally Chinese. Mrs. Wong, Arabella, laughed out loud, startling me. She usually had a sweet girlish giggle. Alastair rolled his eyes heavenward. At least they had a sense of humor about it. Arabella poured goblets of red wine for us and we toasted the movie and good food. We would miss most of the film’s premiere, but Mr. Binghamton gave all of us several free passes each, so knew I could come back. Posters of swooning a woman in the embrace of a shocked but dashing man decorated the Bijou’s entrance. A little girl looked quietly at a poster of the monster clam. Then she suddenly shrieked, pulled away from the woman who held her hand, and ran. “Flannery! Come back! Wait,” the woman called and ran after the child. The music began inside the theatre and everyone cheered. I heard muffled dialogue, but I couldn’t make out the words. I started helping the Mrs. Wong and her son cleanup and gathered Granny’s empty cookie containers. Then I jumped when I heard loud screaming emanate from the Bijou. “Wow! That must be some scary movie!” Alastair commented. Then a woman and a man ran from the theatre. The Wongs and I looked at one another, puzzled. Something was clearly wrong. As I walked toward the entrance, I saw the door to the ticket booth was open. I noticed a flashlight and picked it up, as I hurried toward the commotion. Inside the theatre the screen showed what appeared to be a fifty feet tall clam, with a hundred feet long… Applesauce, I didn’t know what to call it! Something like an elephant’s trunk was slowly attacking a building. I switched on the flashlight. A small group of people were clustered below the stage. When I drew near I noticed a trail of green bits on the floor. Between the people, I saw a pair of wingtips with the soles facing me. The green bits were all over the bottoms of those shoes — and the feet that wore them weren’t moving. I pushed my way into the circle. The man stretched out on the floor didn’t seem to be breathing. I took a mirror from my purse and held it under his nose. There was no fog from his breath. One of the people started calling for a doctor, but I was sure the man was already dead. and a policeman pushed me out of the way. I stooped down and touched my fingers to the little green bits the dead man had tracked on his shoes. I shone the light on it and sniffed. 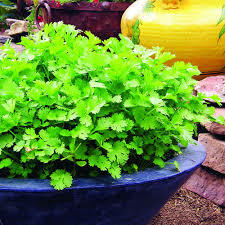 Cilantro. I hope you enjoyed this peek into the world of my unflappable flapper, Paisley Idelle Peabody (aka Pip). Thanks for reading. Drop by and say hello at Teagan’s Books. No part of this book/text/blog may be reproduced, scanned, or distributed in any printed or electronic form without permission. This is a work of fiction. Names, characters, places, and incidents are either the product of the author’s imagination, or are used fictitiously, and any resemblance to actual persons, living or dead, business establishments, events, or locales is entirely coincidental. Hi Esme and thank you so very much for hosting me at your blog. I wonder if any of your readers have ever prepared a geoduck. 😀 You’re pos-i-lutely the best. Hugs. Thank you kindly, Debby. You’re pos-i-lutely fabulous. Great to see Teagan here. I’ve read her previous books and follow her blog and have this one on my Kindle too. Thanks! Dear Olga – so glad you popped in and read Teagan’s post and also some of her other books. Now that you have seen the Guest Posting here on my blog, please let me know if you would be interested to also participate on this platform. I will be honored to have you as a Guest here. You’re very kind to visit here, Olga. I know there are always a ton of things on your plate. You’re the cat’s pajamas! Can’t get enough of Teagan’s excellent idea, and the exploits of her flapper heroine. Great to see her featured here. Many thanks. I will give it some thought. Aww, Pete, I blush ^^’ Thank you kindly. You’re the bee’s knees! So happy to have so many awesome friends and fellow bloggers sharing their own stories, recipes and interesting posts. Just you gave me a huge smile. You’re the bee’s knees! It’s my absolute please and delight as its a win win for all. When you wish to do another, consider it done, just drop me a note and we set it up. Thanks and happy weekend. It’s my pleasure, Esme. Hugs! Thank you so much for linking and sharing on your blog Olga – I do appreciate it very much – My Motto: Sharing is Caring, and you just did that. Thank you again.